What is emotion? Why is it relevant in dance? How has Pina Bausch succeeded in combining dance and theater and why do we need more exposure of this art form in the world? When looking at Pina Bausch's work, one is compelled to feel. Socially and politically, Bausch brings human experience and emotions into her dances, combing dance and pedestrian movement to create the most vivid impressions of our lives. Why a choreographer would choose to abstract daily movement is what I will examine; by deciphering emotions and looking at why it is important that they be expressed through the body in the dance, and why this has recently began to change the way one looks at dance theater. Human experience is expressed in bodily terms and through emotive language, which means, appealing to or expressing emotion. By exploring cultures and our experiences we can begin to see and understand each other on an intuitive, kinesthetic and sympathetic level. Ausdruckstanz is a German form of expressive dance, from which Pina's Bausch's work originally stemmed from. Strongly influenced by Kurt Jooss, Rudolf Laban and Mary Wigman, these German choreographers have inspired Pina Bausch to not only see dance as movement for movement's sake but to examine the underlying motivations and reasons why people move the way they do and what it means to purposefully express emotion through movement. Rudolf Laban researched physiological impulses which led to movement and rhythm and crystallized them as a means of physical expression. Mary Wigman worked with "normal" or "everyday" movements that might express personal experience, "she emphasized individual expression through the "ausdrucks-gebarde" or expressive gesture, an evocative "everyday" movement, developed and stylized to re-contextualize and heighten its original content. "(Climenhaga pg. 6) There was a shift beginning to occur from the surface classical tradition of impersonal movement to expressing a deeper, more internal individual experience. This was the foundation for Pina Bausch's work. When Bausch came to the United States, Martha Graham, Jose Limon and Antony Tudor also influenced Pina's way of seeing dance. Bausch's early experiences in Germany were once again rediscovered for Bausch with Antony Tudor. Tudor was one of her instructors at Julliard, and had an intense focus on psychology, with an emphasis on character built upon emotive gesture. The mind is broken up into two consciousnesses, your conscious and your subconscious. The conscious is the part of the mind that makes decisions, deals with problems and acts on them. It is your inner voice that is usually talking to you and with you. Your subconscious on the other hand, deals with emotions, body regulation, morals, habits, memory, and your imagination. Consciousness, as defined in the Merriam Webster Dictionary, is "the quality or state of being aware especially of something within oneself, the state or fact of being conscious of an external object, state, or, awareness; especially concern for some social or political cause." Dance introduces us to the life we're living, exposing inner dimensions and truths, exposing the sub-conscious. We can become overwhelmed by tides of emotions, engulfed in a sea of pain and sorrow, feeling lifeless. Emotive language can be powerfully examined through the body and expressed just as well. Without dismissing reason, we need to find balance between emotion and thought. Just as your car runs better and requires less energy to go faster when the wheels are in perfect alignment, the human body performs at its highest potential when thoughts, feelings and values are in balance. Instead of emotions being recognized as separate from dance movement we must acknowledge and incorporate the emotion into the movement. Incorporate means to unify. The body and mind can become one in this process, expressed through movement. The mind, not only one of a sensitive child or adult, thrives on rhythm, imagination and metaphors. Our subconscious feeds on dreams to create, to problem solve, to come to terms with what is in the waking world. And feelings, often metaphors of a deeper truth, can lead us to greater awareness. These feeling states can be accessed through deep meditative practice, creating a subtle yet powerfully peaceful state of being where we can begin to observe our authentic selves. It is important to unify the body and mind in order to express yourself. Emotions are the language of the soul expressed through the body. The mind receives its impressions of the world through the sensory system of the physical body, connecting the external with the internal, the physical and the spiritual. The heart is one of our strongest sense organs that can express itself when we put our somatic attention on it. “The world of mind, imagination and subjective experience are not separate from the external real world as we usually believe.” (Crisp) Body language is an outward expression of emotion, a direct confrontation of the self through movement. Emotional experiences are expressed directly through movement. Developed by Judith Hendin, conscious body is a method that uses dialogue and creative processes to decipher messages our bodies are sending us. Body language is a direct confrontation of the self. It is the result of your conscious and subconscious mind, whether or not you are aware of it. If you are aware of what you are doing with your body, your understanding of yourself becomes much deeper. Movement disciplines the two hemispheres of the brain, joining the linear and creative, analytical and emotional and connects it to the spirit. We must marry the psychological and the spiritual to produce art. "If dance is anything, it is the powerful projection of nonverbal meaning...Learning how to move, based on imitation, is not the same as discovering, with help, one's own movement. Without access to this layer of discovery, the dancer often performs beautiful but quite un-alive patterns of physical action that do not move the audience. " (Lighthouse pg.22) Above all it is important for a person to first stay true to who they really are, to be themselves, and then to perform. Emotions are valuable in dance because of the nature for humans to embody their emotions. Becoming more aware of our emotions through embodying them can also help us connect with our subconscious mind. Emotions help us understand our experiences and make sense of them; embodying our emotions helps us experience them and understand them more clearly. "Movement is the substance of our experience, whether physical or mental. A process in which men and women discover and explore the capacities and limitations to their own actual bodies leads gradually not only to greater physical freedom and spontaneity but to immediate self-awareness, a kind of incontrovertible self-recognition." (Whitehouse pg. 21) This fosters kinesthetic as well as psychological sympathy towards people themselves and others experiences. We experience life one breath at a time. Breathing patterns reflect our physical, mental and emotional states. A healthy body cannot be divorced from a healthy mind or spirit. Merging the physical and the spiritual, the mind and the body are at the core of movement and experience. Movement, "as physical fact, one can become more aware of muscle function and nerve reaction in one's own body… This does not come from beating the body into technical submission, but rather from the acquisition of kinesthetic awareness in which the world of body sensation is opened up." (Whitehouse pg. 21) One can then discover tension, relaxation, contraction and extension as parts of one's self. By abstracting these movements a non dance audience is more likely to be affected and prompted to feel because of a process called met kinesis, a motor experience which leaves traces closely associated with emotions in the neuromuscular system when observing movement. Pina Bausch was the director and choreographer of Tanztheater Wuppertal in Germany, a pre-war German expressionist genre that evolved to become dance-theater of political, social, psychological and aesthetic power. Seeing through the absurdity of life, she displaces it on the stage. She blurs reality and theater by placing organic elements such as leaves, water, and dirt on stage; breaking boundaries and illusions that a theater creates. She expels conventionality and combines the natural and artificial. Her work exposes us to our own structures and experiences of meaning, behavior and illusions of the mind. The process of creation for Pina uses memories, life experience, ideas and feelings. Her pieces are built using episodes of movement, dialogue and surreal situations, props or costumes. She uses scenes to create a context for the viewer, wherein the gestures could then be interpreted. She extracts movements from the dancers' daily lives and her own. Often referred to as "queen of the deep," Pina Bausch searches the deepest psychological levels of her dancers to convey the truth contained within the body. The deep is a metaphor for emotions below the level of consciousness. This deep place is also reflected in our dreams, a place in our subconscious. She used the subconscious mind when creating movement. By using their lives as an example, she gives reference to issues that affect humanity in society, using their lives as the muse. In the piece Cafe Muller, Pina Bausch attempts to revive childhood memories to try and understand the complex relationships and emotions between the couples. The main feeling she explores is loneliness. Her use of set design, space, time and movement all attribute to expressing this emotive state. Cafe Muller is about human's muted passions, about the love we seek but estrange ourselves from. The opening scene is a space that is dark and deserted, a cafe with inanimate objects, and a mysterious emptiness. Bausch focused on the experience of reality on stage by using the stage to set up a sensual environment. A figure that resembles an apparition appears and moves through the space. As her ghostly feet scuffle through the darkness, she appears to be looking for something but it is dark and she cannot see well. Her back is to the audience for a long time, the first sign that she is alone and closed off to the world, as if experiencing a dream. The creepy and subtle silence creates the mood. At the back of the cafe are revolving doors through which a stranger enters. She is dressed in a black cloak with red shoes, a red wig and a blue dress. Symbolically, Buasch uses color to animate the emotional quality of the character. She hurries in and around the chairs, frantically yet softly, like a calm panic attack. There is a feeling of hesitation in her steps, a character that represents helplessness. There is another woman entering, a woman who duplicates the first in the background. The figures are doing the same movement, the replication is symbolic of the "other" feeling the same aloneness of the first, and however, both are always alone. The movement starts simply but with an intention of asking, "Where is everyone?" or "hold me," with the arms by their sides except for the palms facing outward, and the head slightly tilted back. The arm then caresses the chest and this gesture suggests a melancholy mood. The feet continue to stutter underneath them, implying a sense of loss, confusion and depth of anxiety that is leading the body into the unknown. The surrounding area is always dark, whenever the dancers come in contact with the furniture a man figure dressed as a waiter clears it away for them, as though they are one, alone, looking for a table. The tables and chairs are empty and meaningless, a clue that the material has no affect on the people. Still, no one has yet noticed each other, and when they eventually do there is still a strong sense of separateness. The open palms and constant rummaging throughout the room suggest a sort of desperate longing for something other than the darkness. One must question the scenario that these memories stem from for Pina Bausch, or for themselves. Throughout the piece the two women who resemble each other ram into the wall and get stuck there, as though they are a part of it, forever frozen. The waiter is there only to watch. The main section involves the first woman who enters the picture and a man who eventually enters and tries to hug the woman. The woman finds the man, almost blindly and perfectly, they embrace. This scene is interrupted with a man who wears a cloak, representative of a "Nazi" who dismantles the picture of an embraced couple. He pulls apart each movement, and replaces the kind and loving gesture of a hug and a kiss with the man holding the woman in his arms, but he can't support her. She falls. Immediately afterwards she scrambles back up to embrace again, meanwhile, the "Nazi," who was exiting, returns to correct the picture he has constructed, and this scene repeats incessantly until it tires and becomes the lifeless woman who no longer has strength to repeat the action. After being displaced so many times it creates a habit in which they separate themselves, no longer in control of their own actions. Afterwards, the woman seems lost, with the same outward position of the palms, a silent plea for help. The man completes a solo of utter despair, thrashing around the room; again the waiter clears out the space for his torment. Alone, he expresses his grief and misery, rolling, diving quickly and manically around the floor. It is crucial for the dancer to be present during the moment on stage in order to expose his soul, without being afraid. It is in this moment and place of consciousness that allows for the movement to be soaked with emotion and to be transmitted honestly. "2. Surrealism is not a new means or expression, or an easier one, nor even a metaphysic of poetry. It is a means of total liberation of the mind and of all that resembles it. 4. We have joined the word surrealism to the word revolution solely to show the disinterested, detached and even entirely desperate character of this revolution. We hurl this formal warning to Society; Beware of your deviations and faux pas, we shall not miss a single one. 9. We say in particular to the Western world: surrealism exists. And what is this new ism that is fastened to us? Surrealism is not a poetic form. It is a cry of the mind turning back on itself, and it is determined to break apart its fetters, even if it must be by material hammers!" Breton continued by saying, "I believe in the future resolution of these two states, dream and reality, which are seemingly so contradictory, into a kind of absolute reality, a surreality." (Breton pg. 18) Surreality would then mean a combination of consciousness and sub consciousness, as is represented in Pina Bausch’s dance theater. Pina Bausch takes a chance and uses dream-like narratives on stage, revealing emotions in a non-linear pattern as usually occur in our dreams. In order for us to merge consciousness and make people become more aware of themselves, we need to expose this art form more. Pop culture shows like "So You Think You Can Dance," encourage the frazzle dazzle of the spectacle rather than actualize what the dancer's body is saying. The ideas are superficial and surface messages. They are not the truth about dance. Probing into themes of angst, anger, loneliness, alienation, rejection, inability to make human connections, the struggle for self identity, and violence against women, she exposes issues that the media and society easily cover up. There are moments of hope, humor and tenderness in her work which reveal that she is not creating from total darkness. People cannot walk away unaffected by her work. As emotions give other people clues of their experiences, Pina Bausch does on a larger scale, in hopes of relating people universally. It is possible to understand each other more, regardless of our cultures and backgrounds, using emotive language. Universal emotions such as pain, sadness, anger or joy can all easily be identified in all cultures alike. "If emotions are less individualistic, perhaps they are a very basic part of brain function, both in the animal kingdom as well as in each human brain.” (Greenfield pg. 14) However, in many societies, feelings are still suppressed, dismissed or reprimanded. By using the stage, dance can engage cultures alike to feel and have a similar experience that they can all relate to on a subconscious level. The stage is a container for metaphor, emotions, and the psyche. Metaphors are images that describe another. They are symbols from the unconscious. Movie directors use dream like images to heighten tension. The tension is a result of the intrinsic connection to these types of images as an audience. Through her work, Pina Bausch always tried to discover and articulate a universal grammar of human existence that transcends local cultures. She studied different cultures and captivated images of human emotions: anger, fear, love rendered in an ironic and poetic manner. The dancers portrayed their own experiences and cultural codes on stage; the images transcended language barriers and conveyed universal understanding. A unified consciousness is what Bernard Rensch calls “panprotopsychic, it means that consciousness is present in all matter in some form.” If this is true it would mean that consciousness exists in all matter. It would also mean that all matter is mind, and mind only becomes focused as personality because of the form and function of the body and brain. We are each like tiny bubbles, all in our own experience. Although we all appear to have separate identities, we are all a reflection of our own self, which is awareness out of one consciousness. I believe that Pina Bausch knew this, and wanted others to understand that we are all one, our minds all a part of the same stage, unified by experience and emotion. Abrams, Meyer Howard, and Geoffrey Galt Harpham. A GLOSSARY OF LITERARY TERMS. Boston: Michael Rosenburg, 2005. Climenhaga , Royd. 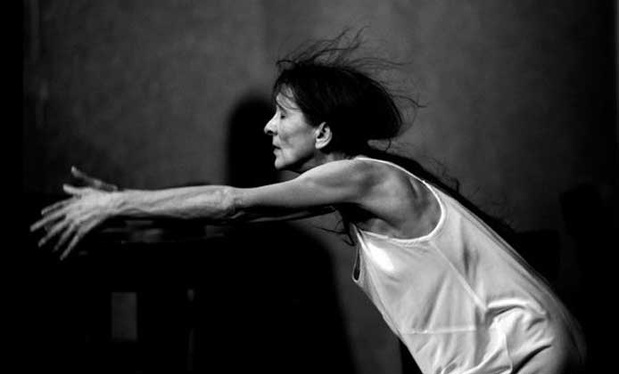 Pina Bausch. Oxon: Routledge, 2009. Crisp, Tony. "Consciousness-The Brain Mind Body Split". 12/05/09 <http://www.dreamhawk.com/ware.htm>. "criticaldance.com". ballet - dance magazine. 12/02/2009 <http://ballet-dance.con/200902/articles/pina_bambooblues 20081213_ferraro.html>. Kozel, Susan. "Meaning in Motion." Desmond, Jane C. North Carolina: Duke University Press, 1997. Greenfield, Susan. The Private Life of the Brain. Canada: JOhn Wiley & Son, Inc., 2000. Hoffman, Louis. "Emotion, Experience, and Embodiment". 12/09/09 <http://www.existential-therapy.com/Special_Topics/Emotion.htm>. McFee, Graham. Understanding Dance. New York: McFee, Graham, 1992. Merriam-Webster, "Merriam-Webster Online". 12/07/09 <http://m-w.com/>. Nadeau, Maurice, "The History of Surrealism," Cambridge: Belknap Press, 1989. Nelson, Smith, Lisa, Nancy Stark. A vehicle for moving ideas. 12 vols. Northampton: Contact Quarterly, 1986. Nelson, Smith, Lisa, Nancy Stark. A vehicle for moving ideas. 27 vols. Northampton: Contact Quarterly, 2002. Servos, Norbert, and Gert Weigelt. Pina Bausch-Wuppertal Dance Theater: or the art of training a goldfish; excursions into dance. Frankfurt: Ballet-Buhnen-Verlag, 1984. There online facts will speak for themself and these blowout facts will shock you. Warning, ignore them at your own risk, beacuse your online competitors will not. One fact is 65% and growing of the World’s Internet surfers speak english but prefer to do their searching and browsing on the World Wide Web in their own native languages online translation. They go to search engines, and prefer to input keywords in their native languages rather than in english.